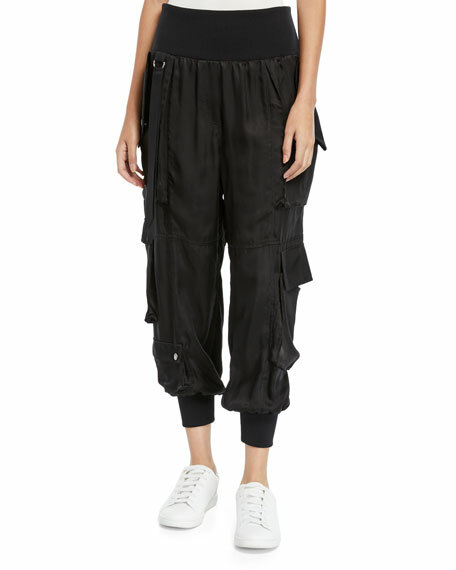 Michael Kors cargo pants in stretch crepe. Straight fit through creased legs. 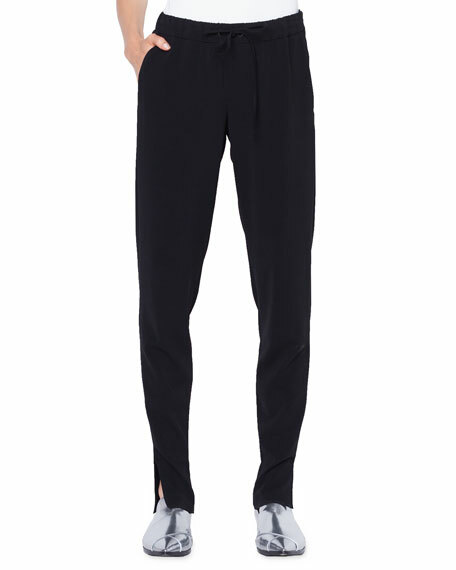 Akris punto "Mike" pants in jersey. Elastic waistband. Side slash pocket. 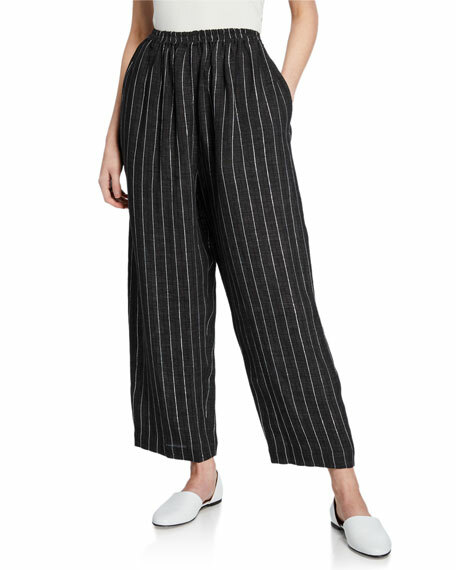 Tapered legs with slit detail. Full length. Polyester/polyurethane. Viscose lining. Imported. 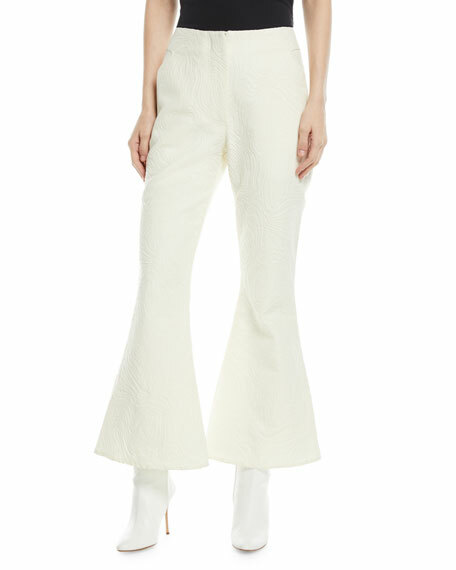 Beaufille "Zelus" swirl-jacquard pants. Approx. 25"L inseam. High-waist; concealed fly. Side slip pockets. Slim fit through thighs. Flared from knees. Cotton/acrylic/silk/nylon. Lining, polyester. Imported of Italian materials.